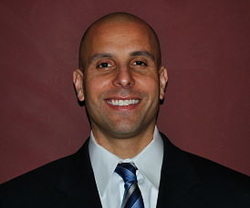 Billy LoPresti has served as Director of the Southeast Basketball Academy (SEBA) since its inception in 2002. His strong passion for teaching and helping young people has served as a foundation for the organization's consistent success over the past sixteen years. During that time, Coach LoPresti has successfully coached more than two thousand players in various SEBA events and training programs. This includes a significant number of top high school players and college athletes from throughout the Southeast United States. As an event organizer, Coach LoPresti founded and implemented the highly regarded SEBA Exposure Camps, which have attracted nation wide talent from nineteen states and five International countries. Over 825+ SEBA Showcase participants have advanced to play College basketball. He has personally trained and mentored over ninety high school players who have gone on to earn college basketball scholarships. Many of these players have gone on to achieve great success on and off the court at their respective schools. More than a dozen of his players are currently playing basketball at the professional level. As a player, LoPresti enjoyed a distinguished career at both the high school and college levels. He was a 3-year starting point guard and co-captain at Jesuit High School in Tampa, Florida. As a senior, he was named All-City, All-Area, and All-Central Florida by several media publications. The Tampa Bay Coaches Association voted him as a Class AAAAA 1st team All-Star. LoPresti attended Oglethorpe University in Atlanta on scholarship. While at Oglethorpe, LoPresti had a standout playing career. He was a 4-year starter at the point guard position, as well as serving as a team captain during his senior season. LoPresti received numerous awards for his play, including twice being named team “Playmaker” of the Year and recipient of the Program's Coaches Award. LoPresti finished his career ranked as Oglethorpe’s second all-time career leader in assists, while also scoring 944 career points. He is also among Oglethorpe’s all-time career leaders in steals and 3 point shooting percentage. LoPresti was selected to six separate “All-Tournament” teams throughout his playing career. He was twice named to Southern Collegiate Athletic Conference (SCAC) Academic Honor Team for his success both on the court and in the classroom. Following his college career, LoPresti was selected to play for a U.S. Travel Squad comprised of College All-Stars which competed in South America. LoPresti graduated with a B.A. degree in History from Oglethorpe in 1999. He is a USA Basketball Gold Licensed Coach while also holding certification from the National Federation Interscholastic Coaches Program and the National Collegiate Athletic Association (NCAA). Coach LoPresti resides in Metro Atlanta with his wife Natalie and their six children. "Now to Him who is able to do immeasurably more than all we ask or imagine, according to His power that is at work within us,"